Most people hear the word ‘steroids’ and bridle because they assume they are illegal. There are many FDA approved steroids that are seriously beneficial when it comes to making gains, making cuts, strength and endurance and all-round growth. 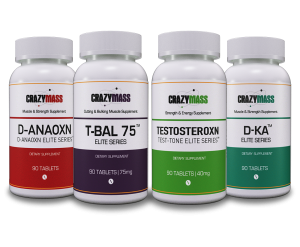 Here at CrazyMass, we know the importance of using the right combination of legal supplements to get you the most benefit for your money. 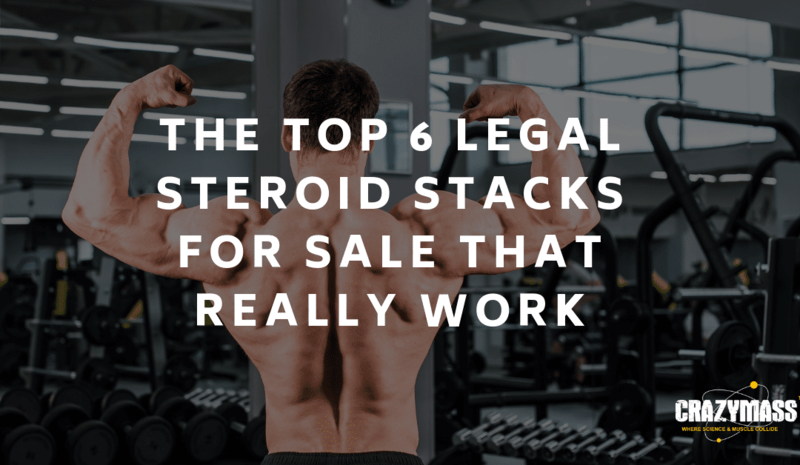 We call these legal steroid stacks – and we have the very best top 6 legal steroid stacks for sale right here on our website! Our top pick of all time is the CrazyMass Bulking steroid stack. This combination of our four best selling bulking steroids will see you gain mass fast, increase nitrogen retention, boost energy, increase protein synthesis and push up that stamina level, all at the same time. These four complementary products work in harmony to give you the best gains money can buy… So retain those gains and get the most from your workout to boot with our Bulking Stack. Not all athletes need to bulk up, so in answer to consumer needs, we devised the specially engineered CrazyMass Cutting Stack to help you trim down that extra beef. This combination of products has been tested to success and will harden and shape up those muscles as the cutting process begins. Want to tone? Then this is the stack you need. Preserve lean muscle mass and define those shapes with our top cutting steroid stack of choice. 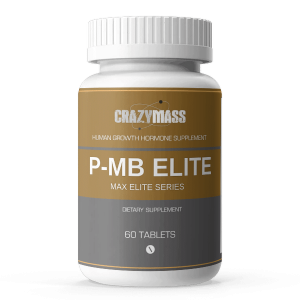 Designed for those that want to achieve great gains in mass, endurance, and growth in a very short period; the CrazyMass Growth Hormone Stack takes care of everything. This is our most fast-acting stack and has been engineered for top athletes and competitors. This product bundle offers supreme overall definition and growth in all the areas you need – while helping you tone up for those all-important competitions. Those wanting to push themselves farther than the average Joe will love the Endurance and Stamina stack. This steroid stack provides boosted speed, stronger muscles, vast improvements in definition and more strength – and all of this while helping you go the extra mile. If you need explosive energy for your workouts, this is the stack for you. If you want to lift more, run farther, jump higher and generally play harder all around then, you need the CrazyMass Strength stack. This steroid bundle gives you mass gains while speeding recovery times, targets your protein synthesis levels and helps your whole body fight fatigue – meaning you can perform for longer. If overall strength is your goal, then there isn’t any legal steroid stack that works better. The CrazyStack takes a mixture of the best products from all of the above and helps you shape up, tone, build muscle, boost energy, increase endurance – and more. This stack contains enough to get you going and keep you going, whether you are a bodybuilding novice or a seasoned pro. 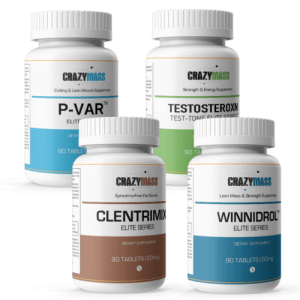 Getting on the CrazyStack program will take you one step closer to the body you want, so what are you waiting for? Invest now and work your way towards that better body.